Are you an adult son or daughter seeking home care for your parent(s) in the Greater Manchester, Derry, or Concord, NH areas? If your Mom or Dad lives in New Hampshire and you’re in California, how do you take care of them? If you’re dealing with either of these questions, you’ve come to the right place. Visiting Angels provides Private Duty non-medical homecare for the elderly. We are also keenly aware that the adult children of our clients are challenged with the prospect of caring for their parents. We are here to help manage your loved one’s homecare and ease this responsibility for you. Thank you for visiting our website. Gaining insight on our services is the first step in making an important decision for your loved-one. We’ve included a lot of information on our site. However, we always welcome an opportunity to speak with you. So, please feel free to call us or stop by our offices in Auburn, NH for more information about our home care services. 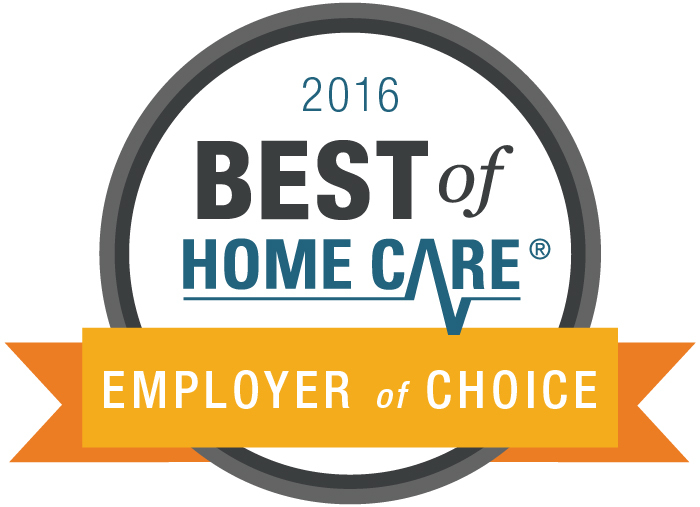 2016 Best of Home Care®Leader in Excellence Award! For the fifth consecutive year, Visiting Angels in Auburn has announced it has received the distinguished Best of Home Care Leader in Excellence Award from Home Care Pulse, the leading firm in quality assurance for private duty home care. The Leader in Excellence Award is given to the select home care businesses that consistently ranked among the highest in 18 or more quality metrics assessed by Home Care Pulse. As a Leader in Excellence we are one of only two homecare agencies that continue to be ranked among the best home care providers in the nation. This accomplishment demonstrates our long-term dedication to excellent care and quality improvement. To qualify for this award, a handful of our clients and caregivers were interviewed by Home Care Pulse. Over a 12-month period we received high client and caregiver satisfaction ratings in areas such as caregiver training, compassion of caregivers, communication, scheduling, response to problems, overall quality of care, etc. 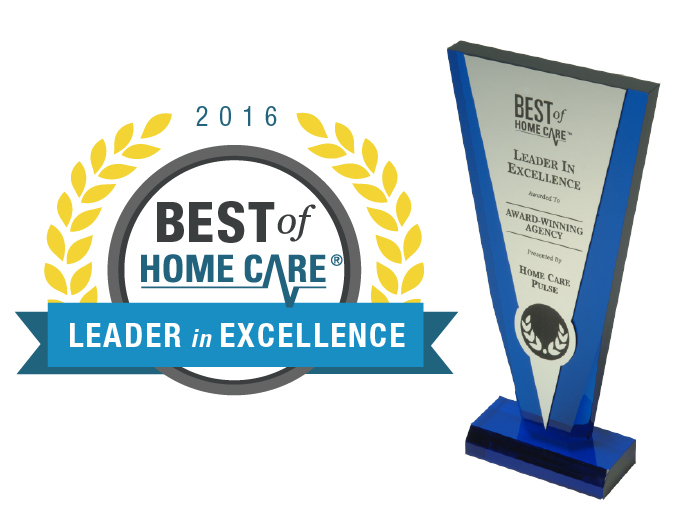 The Best of Home Care Leader in Excellence Award highlights the top-performing home care businesses in the nation. Home Care Pulse believes that by honoring these providers, families looking for in-home care for a loved one will be able to recognize and choose a trusted home care provider.